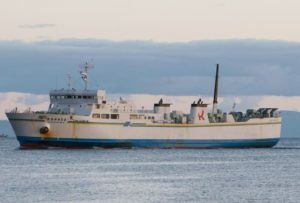 On Tuesday evening, the Kerch City Court decided to arrest for three months three more sailors from the ships of the Ukrainian Navy, who were detained in the Kerch Strait. “The Kerch City Court of the Republic of Crimea satisfied the petition of the Deputy Head of the Investigation Department of the UFSB of Russia for the Republic of Crimea and the city of Sevastopol to elect a preventive measure in the form of detention in relation to three citizens of Ukraine suspected of committing a crime, provided for by part 3 of Art. 322 of the Criminal Code of the Russian Federation (Illegal crossing of the State Border of the Russian Federation) for a period of 2 months, ”the court said. Later, the source of “Interfax” reported that we are talking about Andrei Artemenko, Andrei Eider and Vasily Soroka. These sailors were injured during the detention of ships. “The court authorized their arrest until January 25, 2019,” the agency’s source said. 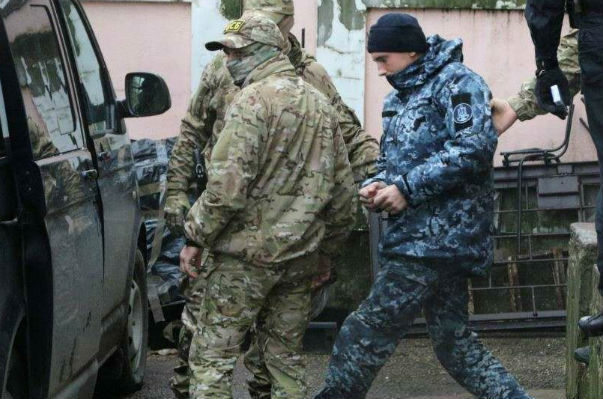 Earlier on Tuesday, the Kiev district court of Simferopol chose a measure of restraint in the form of detention on January 25, 2019 to 12 Ukrainian naval sailors from the ships of the Ukrainian Navy, who were detained in the Kerch Strait. We are talking about Andrei Oprysko, Sergei Tsybizov, Yuri Budzylo, Vladimir Tereshchenko, Viktor Bespalchenko, Vladimir Varymez, Mikhail Vlasyuk, Bogdan Golovash, Sergei Chulib, Vladislav Kostyshin, Sergey Popov and Roman Mokryake. Roman Mokryak – commander of a small armored artillery boat “Berdyansk”. Sailors filed a case under Part 3 of Art. 322 of the Criminal Code of the Russian Federation (illegal border crossing, committed by a group of persons by prior agreement or by an organized group, or with the use of violence or with the threat of its use). The election of a preventive measure for the remaining nine detainees is expected on Wednesday. On November 25, Russian border guards detained a tugboat Yany Kapu and two small armored artillery boats Berdyansk and Nikopol, sailing from Odessa to Mariupol via the Black and Azov Seas, near the Kerch Strait. The ships were convoyed to Kerch. 24 Ukrainian military sailors were detained, three of them were wounded. The injured are in a hospital in Kerch. Ukraine and Russia accused each other of provocations.